We take pride in our successful programs! Having managed nationally accredited child care and early childhood facilities across Western New York for almost two decades, we have built a well-rounded expertise in our field. Our program includes break camps, summer day camps, enrichment, and licensed before and after school programming. Just for Kids is the proud recipient of the the Child Care Provider of the Year Award, Child Care Resource Network (2015); Buffalo Business First Best Places to Work Finalist (2015); Nonprofit Internship Site of the Year (University at Buffalo); and the University at Buffalo (2015) and Buffalo State College (2012) Employer of the Year! Check out "Join our Team" for employment information. 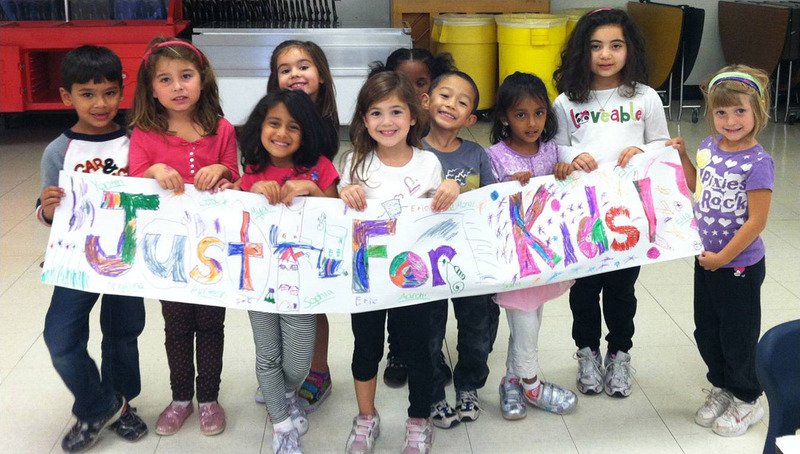 Just for Kids is a program of the 501 (c) 3 not for profit organization, Child Care Network of the Niagara Frontier, Inc., established in 1994. Just for Kids offers programs for: Amherst, Williamsville, Grand Island, Cheektowaga Sloan UFSD, and Cheektowaga Central School Districts, as well as Enrichment programs at Saints Peter and Paul School in Hamburg, St. Mary's School (Swormville), and the Charter School of Inquiry. All programs are open to the public. We've developed seasonal camps that are fun, smart, and save the day when school is out. Breakfast, Lunch, and snack is on us, and hours are designed to meet the needs of working parents. Before school programs allow children to ease into their day, work in small groups with staff. After school programs allow kids to rotate enrichment and Themed activities with Fine Arts Teachers, Sports Coordinators, outdoor play, social skills, team work challenges, and kids' choice activities. Camp is jam-packed with weekly Field Trips, Special Events, Kids College Special Guests & Kids Care volunteering activities, Themed Hobbies, Character Education, 'Pages for Pizza' literacy program, the Rangers Leadership program (kids entering 5th grade+), our Counselor in Training (CIT) program, and more!!! "I would first like to express my pleasure in your after school program that my kids have attended at Sidway Elementary the past few months. They were well taken care of, engaged in productive activities, and very much enjoyed their time there."